iTunes asking you for a backup password, but convinced you never set one? We may have the trick to help you get your backup restoring, or to disable the encryption option in iTunes. We see some iPhone, iPad, and iPod Touch backups encrypted with a "blank" password. We believe that the blank password was set by some third-party backup software. Once that blank password is set, it is stuck there, because the backup password is a setting is stored on the iPhone and used with any computer or backup software you use. But, iTunes won't let you enter a blank password when trying to restore or turn off encryption... except if you get sneaky. Bring up the password dialog box for whatever need you have, whether that be restoring or disabling encryption. 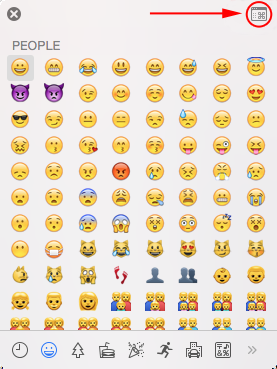 If it looks like this condensed window, select the window-y icon in the upper right to expand the window. 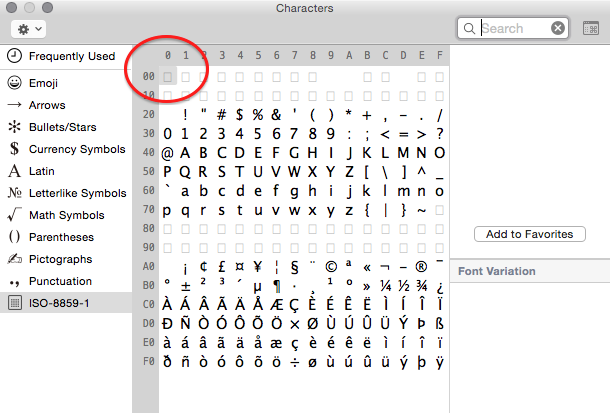 From the expanded view, click the little gear button and select "Customize List" from the menu. Scroll ALL the way down and expand "Code Tables." Scroll down through those, check the box for "ISO-8859-1", and click Done. Select the ISO-8859-1 category from the left column. 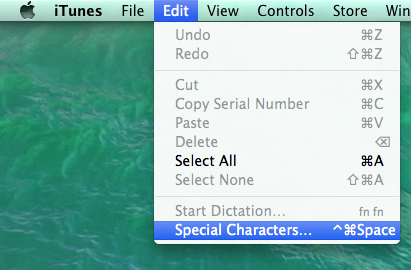 Reopen the Special Characters window from the iTunes Edit menu again. ISO-8859-1 should still be the category selected, if not, select it. 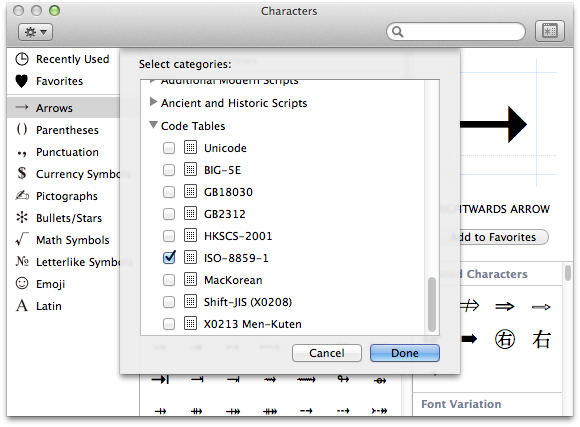 Double-click the very first (topmost and leftmost) box from the ISO-8859-1 category, and you should get a single character in your iTunes password box now. Press ok and cross your fingers. Click the little gear button and select "Customize List" from the menu. 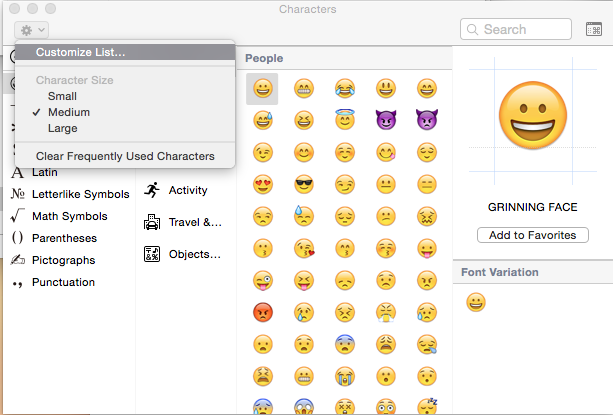 Reopen the Special Characters window from the iTunes Edit menu again. I haven't quite figured this one out yet, my efforts to get a null character into the clipboard and paste into iTunes aren't bearing fruit yet. Suggestions are VERY welcome, please leave us a comment. Likewise, if you're looking for this solution on windows, leave us a comment (with what version of Windows you are using) so we know to redouble our efforts. You can also try just pressing the "Ok" button when prompted for your backup password in any of our software to test the blank password on that backup. I like to use Decipher Backup Browser for testing passwords. A few years ago, the backup password dialog box in iTunes was somewhat confusing. Many people thought iTunes was asking for the iPhone's lock screen passcode. If you haven't tried already, try some of your iPhone lock screen passwords (current and former) to see if they unlock the backup. We have entire FAQ post dedicated to ideas to help you remember your iPhone backup password. Be sure to check that out also! Open the Keychain Access app, click All Items in categories, and search for iPhone in the search field. You're looking for an Application Password named iPhone Backup. Double-click it and select "Show Password"